Roth and Brimstone Coven are certainly on to something. 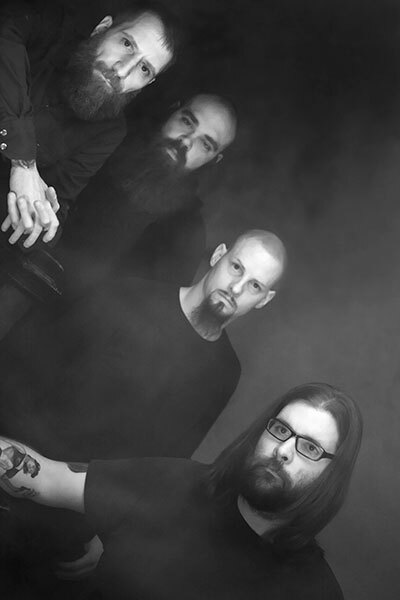 While the group – Roth, vocalist John Williams, bassist Andrew D’Cagna, and drummer Justin Wood – only formed four short years ago in Wheeling, West Virginia, they have a fantastic treasure horde of Appalachian darkness from which to pull. The Mountain Staters have, for example, the Mothman, a winged creature that emerged in the ’60s, Screaming Jenny, and the Phantom of Flatwoods. But these aren’t the only tales of terror from the 35th state. 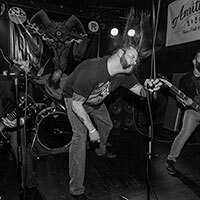 And it’s all imbued into Brimstone Coven‘s heavy rock. 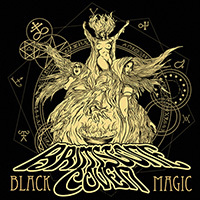 Musically, the quartet are cut from the same cloth as Black Sabbath, Pentagram, and Led Zeppelin, but Brimstone Coven are also informed by the psychedelic movements of, say, Pink Floyd. The West Virginians are heavy, heavy, heavy, but also have a penchant for pushing the atmospheric envelope when the mood fits. 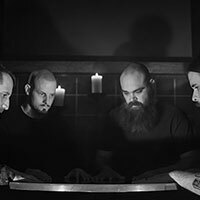 If it sounds like the Brimstone Coven‘s sonic witchcraft has familiar roots in today’s contemporary scene, well, it does. When Roth, D’Cagna, and Wood hit a rhythm, they hit it hard just like their peers. 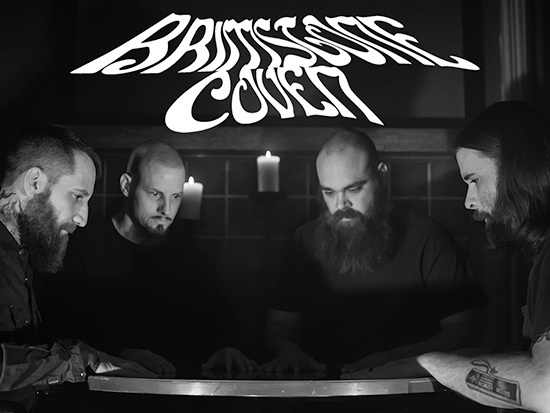 But where most bands are content with to riff on an Iommi classic or an Osbourne vocal melody, Brimstone Coven open it up with three-part vocal harmonies, a trait more common with Mamas and Papas, Yes, and The Byrds. 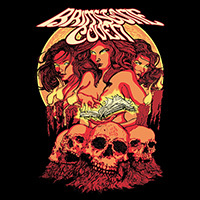 Brimstone Coven‘s gritty, groovy riffs and killer vocal melodies aren’t a new invention either. 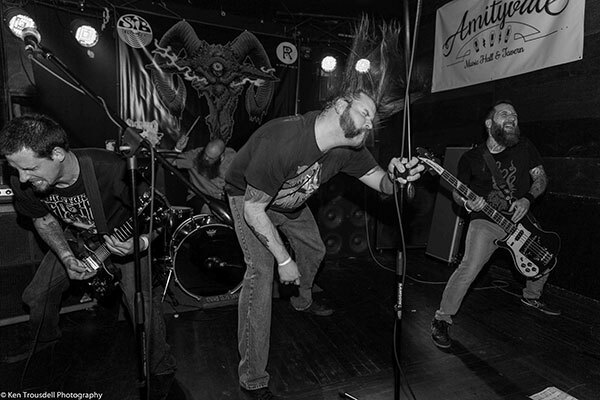 Fans of the Panhandle Staters have worshipped the group’s heavy rock style ever since Brimstone Coven and its follow-up II were self-released in 2013 and 2013, respectively. 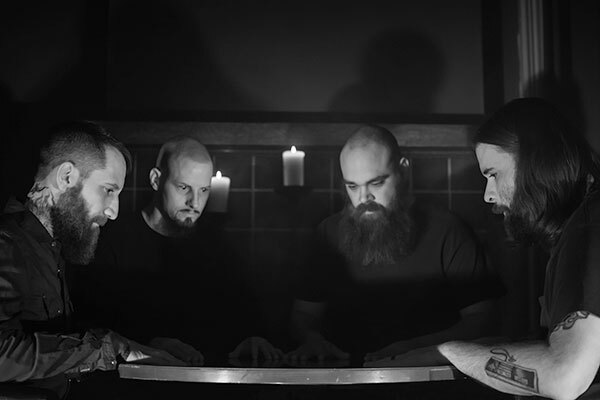 With ears to the ground, Metal Blade heard the promise in Brimstone Coven, inked a deal, and packaged both releases as a single set, called Brimstone Coven in 2014. 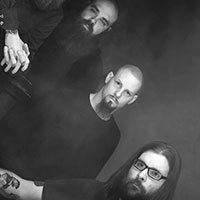 This was, of course, a set-up to the band’s first official Metal Blade long-player in Black Magic, which will be one of 2016′s early highlights. Indeed, Black Magic is upon us!